Awarded annually to two outstanding graduating students in the Arthur Kroeger College of Public Affairs. Endowed 1984 by Dr. Kanta Marwah of the Department of Economics. Dr. Kanta Marwah, a distinguished research professor and professor emeritus of economics, was born in India. After completing her earlier studies, earning B.A. and M A. degrees, First Class, from Panjab University in India, she went to the USA on a graduate scholarship from the University of Pennsylvania, an Ivy League university in Philadelphia. There, working under Nobel Laureate Professor Lawrence R. Klein, she earned her Ph.D. degree in economics (1964), with straight A performance. As a matter of fact, she was the first female Ph.D. of Professor Lawrence R. Klein, and virtually the first female Ph.D. in economics from this Ivy League University. Her Ph.D. thesis: An Econometric Model of Price Behaviour of India was seminal, belonging to the first-generation econometric models of India. She taught at Boston College as an Assistant Professor from 1963 to 1966; and was Economist consultant at the UN in New York, in 1966-67. 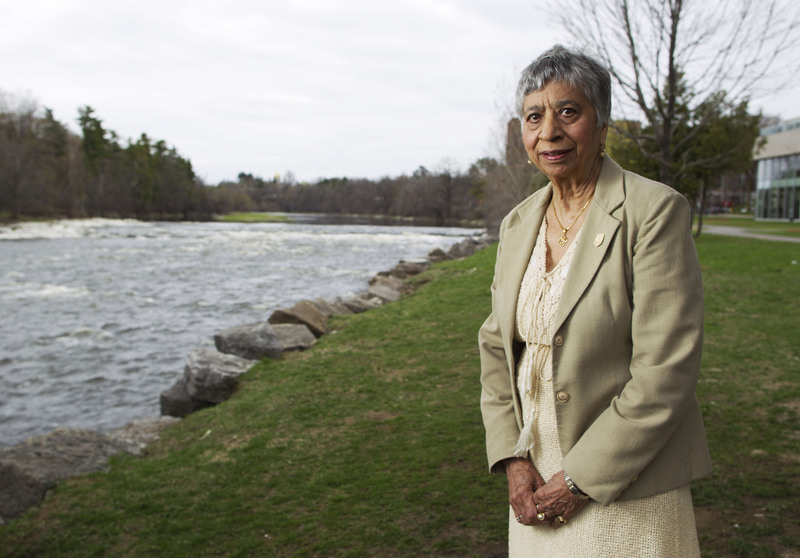 In the fall of 1967, she came to Ottawa, Canada, when Carleton University invited her to join its faculty in the department of economics as its first female professor. Subsequently she became the first female Full Professor in Economics. During her sabbatical from Carleton in 1973-74, she was invited back to the UN where she built: A World Model of International Trade for United Nations Commission on Trade and Development (UNCTAD). On her retirement in 2002, she was awarded the designation of distinguished research professor and professor emeritus of economics.